Sometimes a situation occurs when Exchange Server administration faces some logical errors such as incorrect element display in folder or their incorrect quantity, this could be the reason of corrupt exchange server user's mailbox. This is the very common Exchange Server errors which is occur due to malfunction on the client’s side where sometimes client incorrectly updates MAPI flags during the processing of mail folders element. It has been detected that logical errors usually happen within shared mailboxes where many users might be working simultaneously. Generally users can’t suspect these errors in their mailbox or folders as everything operates correctly. But when the something going wrong, then user is unable to access certain folders and mailboxes. Sometimes the situation becomes worst when the emails or folders get deleted or unable to view which are saved in the mailbox. Exchange Server Administrator may use these tricks to restore corrupt exchange server mailboxes. 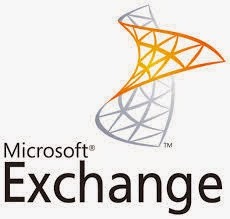 Use Step by Step guide to recover exchange server mailboxes. 1) Import data from MS Outlook: With this method you need to convert the OST file of Outlook account into PST file, then delete and create the new mailbox and lastly import data from PST file to the new mailbox. However this method results in certain level of manual manipulations on user’s PC. 2) Disable of mailbox store: In this method, you need to disable the mailbox store fully and check it with Isinteg.exe utility, which allows repair the damages in Exchange Database on application level. But this method requires a halt on service time for all users whose mailbox is allocated in disabled mailbox database. 3) Use backup to restore Exchange database: In this manual method, you need to import data from mailbox to PST file and further transfer data to mailbox. But one disadvantage is that all emails which delivered to user’s mailbox after last backup execution time can be lost. One easiest way to Restore Damaged Mailbox logical structure, a new Powershell cmdlet New-MailboxRepairRequest which allows finding and fixing all logical error in Exchange Database. Moreover the error correction and search can be customized as per your need. User can select any specific or all mailboxes for restore regularly. There is no need to put all mailboxes in off-line mode. But before performing any above method to restore mailbox integrity, you should definitely try to use this command. This command detects and repairs all folder views for the mailbox sample@domain.com. This command detects and reports on ProvisionedFolder and SearchFolder corruption issues to Peter Smith’s mailbox. If the above method did not help you in Restoring Exchange Server Mailboxes or you are facing difficulty to run this process. In that case i would strongly recommend you to Use a third party application. You can use this application at Free of Cost. You can restore the corrupt exchange server mailboxes with demo version. If you are completely satisfied with the software capability, Then you need to purchase the software license to save recover Mailboxes. Good thing about this software is that, you can use this software at free of cost, recover data and after satisfied then purchase it. A great application to store your all Emails in ms exchange database file identify as .edb file. Sometimes exchange EDB file got corrupted due to error in database header file, error in JET Engine, exchange server dirty shutdown, power failure, virus infection, physical system damaged, Exchange server crash, oversize database, log file error & many more reasons.